Click here to see if you’re eligible to be a member. Click here to get a printable membership application. Fill out the form you got in Step 2, then bring, mail or fax it to the Credit Union. We will then produce a signature card which you (and any optional joint members) must sign in person at the credit union during regular business hours. 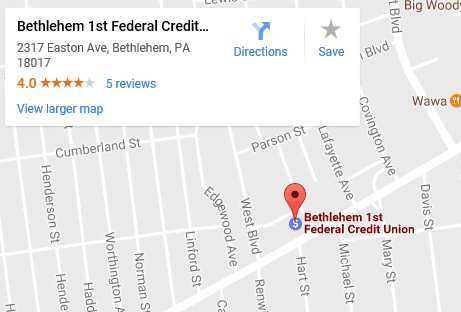 Who May Join Bethlehem 1st?